Zee Entertainment Enterprises Ltd (ZEEL) has unveiled its bouquet of packs much ahead of December 29 when TRAI's new tariff regulation, which will give consumers the choice to pay for only those TV channels they want to watch, will be implemented. The broadcaster has come up with family packs in 11 regional languages - Hindi, Urdu, Marathi, Bengali, Odia, Bhojpuri, Tamil, Telugu, Kannada, Malayalam and English. It will be offering three types of packs to cater to different viewer needs. While Prime Packs have been based on core regional language consumption, Family Packs will offer the top genres and All-in-One Packs will provide all genres. The ‘Zee Family Pack’ targeted at the Hindi Speaking Market (HSM) has been priced at Rs 45 per month for 24 channels. 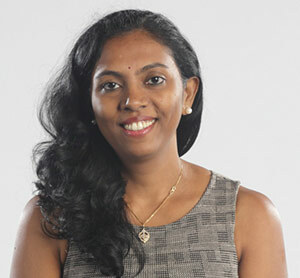 In a media roundtable, Prathyusha Agarwal, Chief Marketing Officer, Zee Entertainment spoke about the changes that would come about with the new price regime. She said that the new tariff regime will not just be about pricing but also about massive behavioural change. “For the longest time, this has been a low-involvement category where pricing would decide the way you consume. But with TRAI’s new regulation, the power will now shift to the consumer, making it a high-involvement category. People will start evaluating what they are paying for, and why. Moreover, the level playing field that this reform will bring across operators will be a great opportunity for everyone and you will truly build your value with the services you offer and to be better in tune with your consumer,” she said. In tune with its belief of the requirement for behavioural change among consumers, Zee has come up with a multimedia multi-stakeholder communication initiative, ‘Channels Ka Chunaav 2019’, to spread awareness about the impending changes in the ecosystem. However, Agarwal maintains that communication cannot solely educate people about all the changes. “A mass communication can never talk about all the details. A consumer’s first point of contact is the cable operator and therefore the last mile really matters. We have a WhatsApp outreach happening through the operators across the country which will be completely educational. We will also use a lot of digital push so that people at the last mile know what this is all about,” said Agarwal. She further added that it would take at least six months to get a sense of the extent of behaviour change. And will the new order affect the broadcaster’s content strategy in any way? “Random content being pushed never works. And when it doesn’t work, you shut down the channels. Any good broadcaster committed to putting together a good content always evaluates his offering. This new regime will not really mean people will re-evaluate their content. In fact, through consumer feedback, we will now know what is being consumed,” she added. ZEEL currently offers a total of 59 channels (43 SD and 16 HD) in 11 languages, and reaches a total of 148 million households every day.